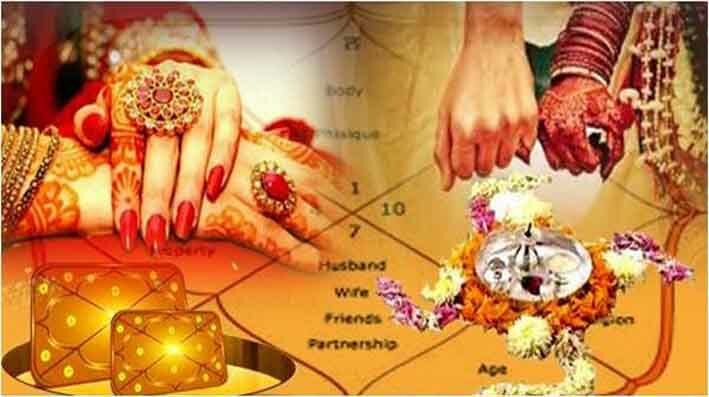 Kalathra means our life partner or Spouse, 7th house in our horoscope is the Kalathra sthana, house indicating life partner. Any malefic planet in 7th house makes Kalathra dosham, or when Venus is afflicted by malefic planet. This Pariharam is highly prescribed for couples who have this dosham to lead a blissful life. This Homam is performed by invoking the influenced planet god and chanting mantras for that planet god and the homam is performed as per the shastras to get rid of all the problem. When Should I Perform Kalathra Dosha Nivarthi? Fridays and Sundays are best to play this Pariharam. Date can be selected as per ones janma nakshatra. Book Iyer Online for Kalathra Dosha Nivarthi. All the Pooja Samargi will be brought by Vadhyar. All the Pandit are well experienced and studied from Vedic Pathshala. Copyright @ 2016 vaidheegamiyer. All Rights Reserved.